We offer developmentally appropriate Jewish religious and Hebrew language instruction in a nurturing environment to any child in the Greater Glens Falls area. Our school seeks to instill a love of Judaism and Jewish values and to provide students with the skills that will allow them to be comfortable with Jewish practice throughout their lives. Currently instruction for children is held on Sunday mornings from 9:30 to 11 AM. including crafts, holidays, Bible stories and individualized Hebrew instruction. Our Bible discussion focuses on moral lessons to be learned from the stories. Please see our children’s program page. Our adult education programs are designed to respond to members’ needs and interests. Currently we have Hebrew Literature or Judaic studies after Kiddish luncheon on Shabbat. Our weekly parsha discussion at Saturday morning services is also highly thought provoking. 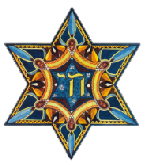 Intermediate Hebrew language is taught on Wednesday evenings at 7 PM. Beginning Hebrew will either be taught on an individualized basis or in a small class depending on interest level. Additional lectures and discussion on specific topics take place throughout the year. Please watch our bulletin for details. We provide individual Bar and Bat Mitzvah training for people of all ages. We also place a high priority on supporting our potential converts through the conversion process. Contact our office and we will design a program that meets your needs. 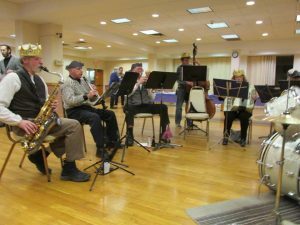 We have a Klezmer band, Jewish cooking classes, an excellent Jewish library, show movies periodically with Jewish or Israeli themes as well as family night that includes ping-pong, pool and other fun games and activities for all ages.